If there's one genre that's aged worse than overly precious '90s indie pop, it's most certainly the wacky, checkerboarded goof pop of '90s third-wave ska. 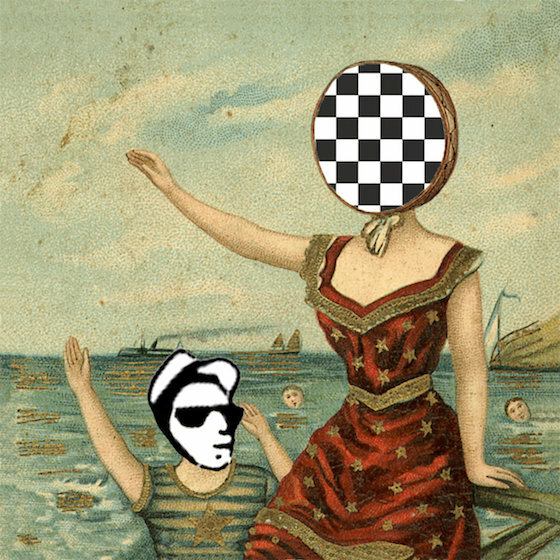 Some twisted genius has decided to combine those two worlds, and now we're stuck listening to a ska tribute to Neutral Milk Hotel's In the Aeroplane over the Sea. While we always figured Elephant 6 would make for a great ska band name, the album was uploaded to Bandcamp with the moniker Skanktral Ska Hotel. It's been given the wonderful new title In the Aeroskank over the Checkered Pattern. Contained within the album is a number of ridiculous ska puns, including song titles like "King of Skarrot Flowers Pts. 1, 2, 3, Pick It Up Pick It Up" and "Rude Headed Boy." Whether or not you can make it through the whole album is a testament to how true you are to ska music. Test your limits below [via Noisey].